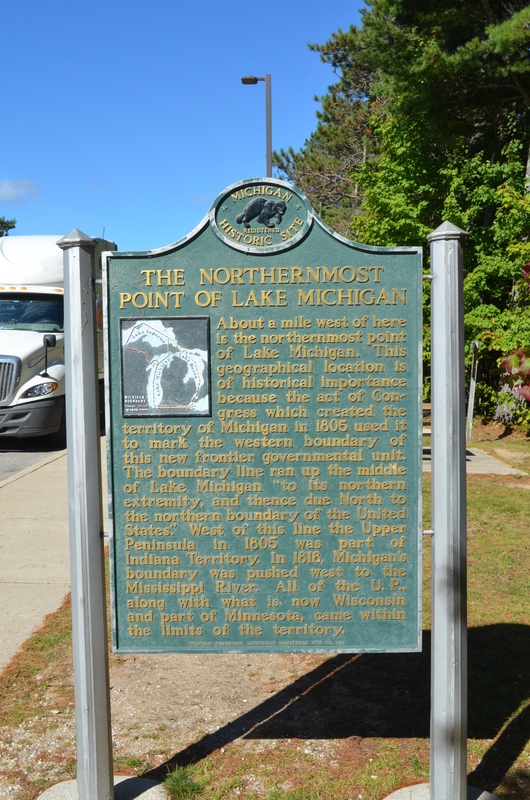 On October 6th, 2017, the stretch of US-2 between St. Ignace and Manistique in the Upper Peninsula was designated as Michigan’s newest scenic byway, the “Top of the Lake Pure Michigan Byway.” We’ve traveled this road many times over the years while heading west to U.P. 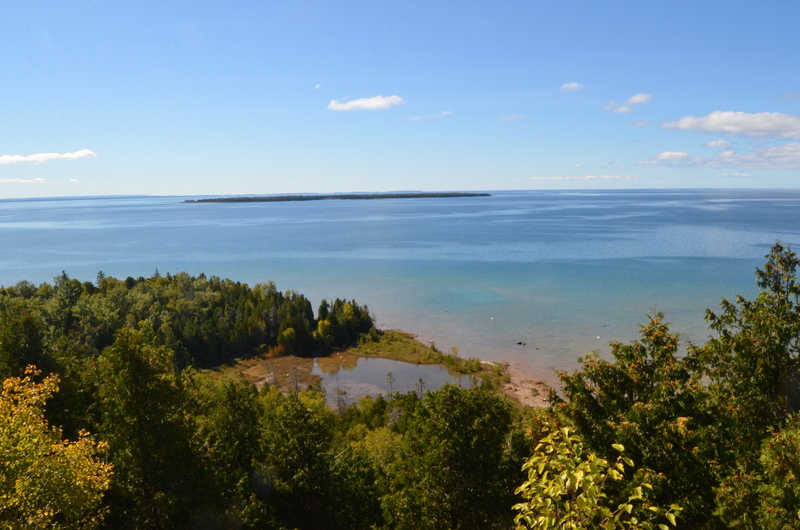 destinations like Pictured Rocks, Porcupine Mountains, Escanaba, Marquette, Ironwood and other locations. 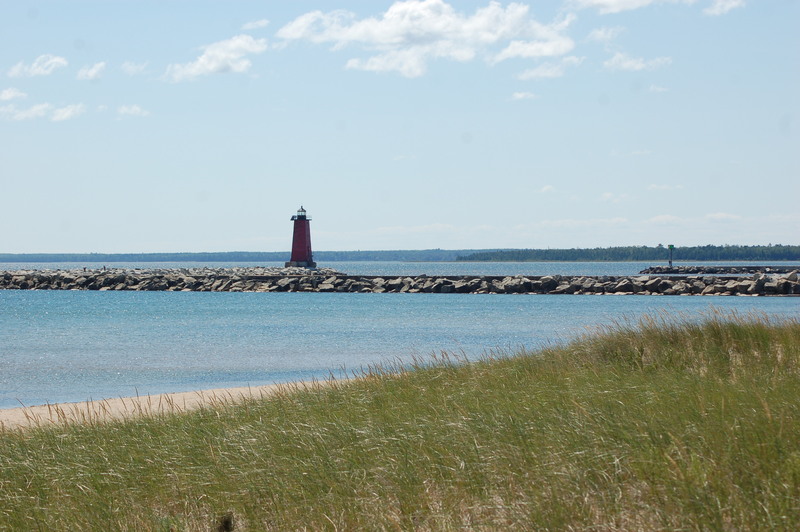 The 92-mile route offers miles of scenic views on Lake Michigan, beaches, pasty shops, historical attractions, family attractions, small towns and more. 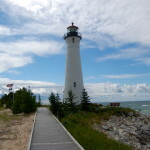 We put together a list of some of our favorites along this new scenic byway, enjoy this post full of 20 Things to See and Do on Michigan’s Newest Scenic Byway! 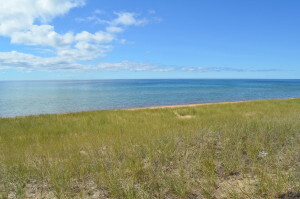 Sand Dunes Beach – About 12 miles from St. Ignace, US-2 treats travelers to a wide open vista of Lake Michigan on one side of the road and sand dunes on the other. 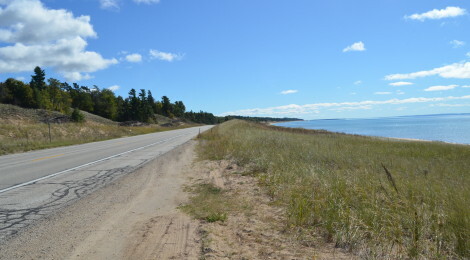 When driving through here in the summer months you can expect to see many cars parked on the side of the road as people stop to swim, sunbathe, stretch, or explore the dunes. 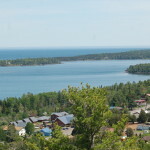 Epoufette Lookout – From this roadside park you have a great view of Lake Michigan and the fishing village of Epoufette. 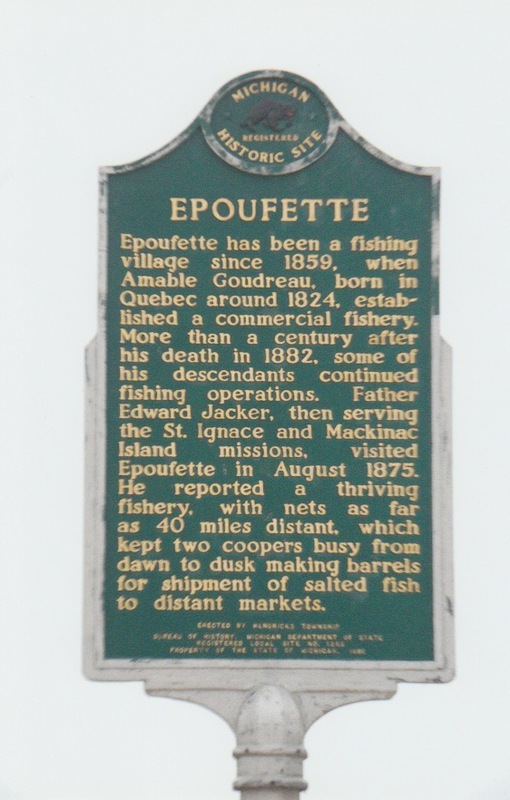 A Michigan historical marker provides some background: “Epoufette has been a fishing village since 1859, when Amable Goudreau, born in Quebec around 1824, established a commercial fishery. 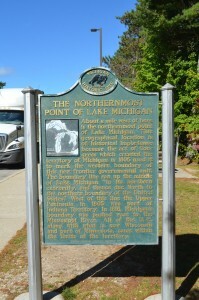 More than a century after his death in 1882, some of his descendants continued fishing operations. Father Edward Jacker, then serving the St. Ignace and Mackinac missions, visited Epoufette in August 1875. 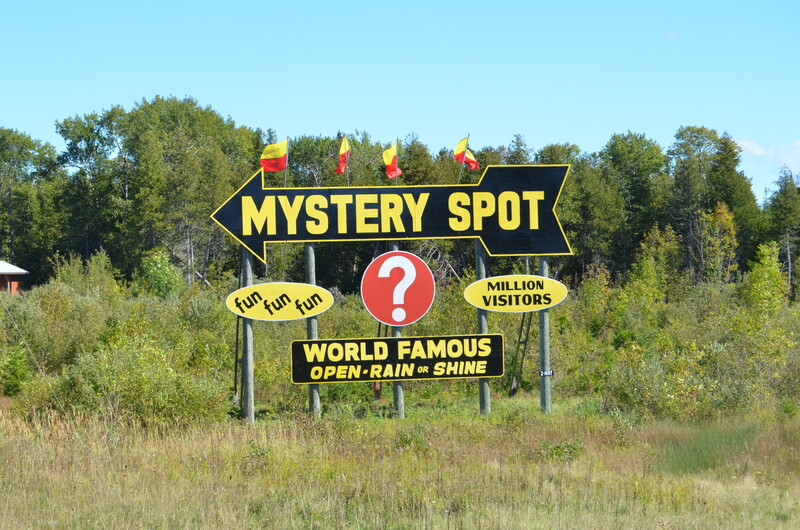 He reported a thriving fishery, with nets as far as 40 miles distant, which kept two coopers busy from dawn to dusk making barrels for shipment of salted fish to distant markets.” Park located a few miles west of the Cut River Bridge. Pasties! 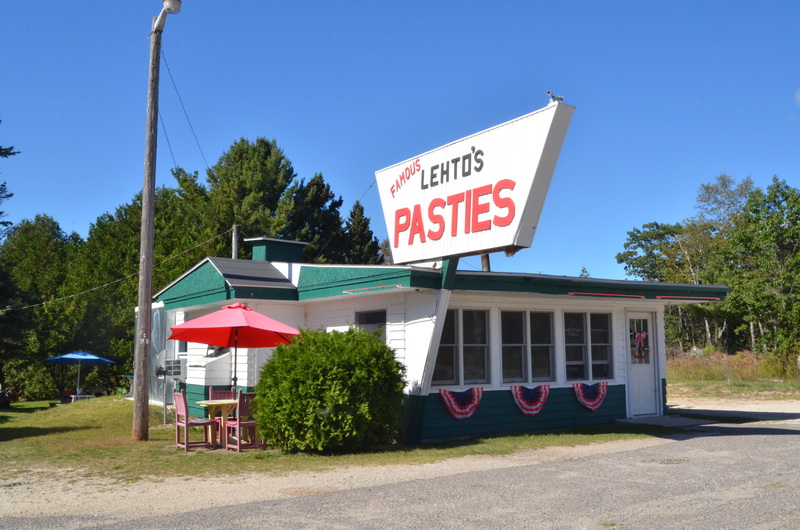 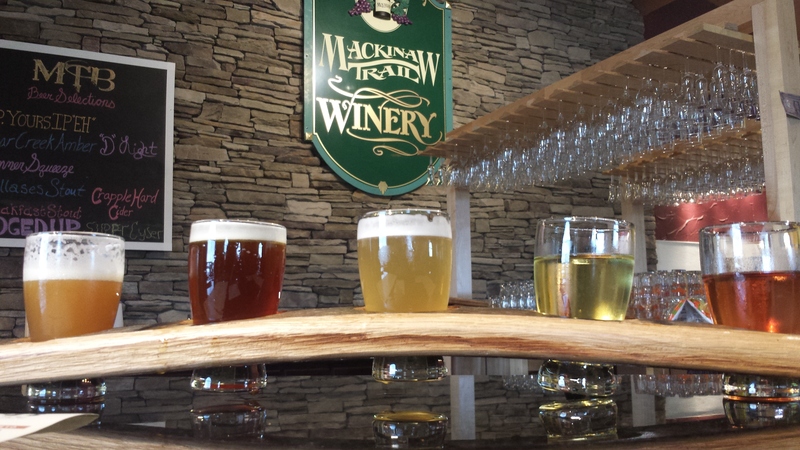 – Suzy’s Pasties (St. Ignace), Lehto’s Pasties (St. Ignace), Hiawatha Pasties (Naubinway), Three Seasons Cafe (Manistique), and The DownTowner (Manistique) are just a few of the options for those looking to try the Upper Peninsula’s signature dish – a pastry filled with meat and vegetables. Cut River Bridge – This bridge located 25 miles west of St. Ignace was constructed in 1947 and is one of only two cantilevered steel truss bridges in Michigan. 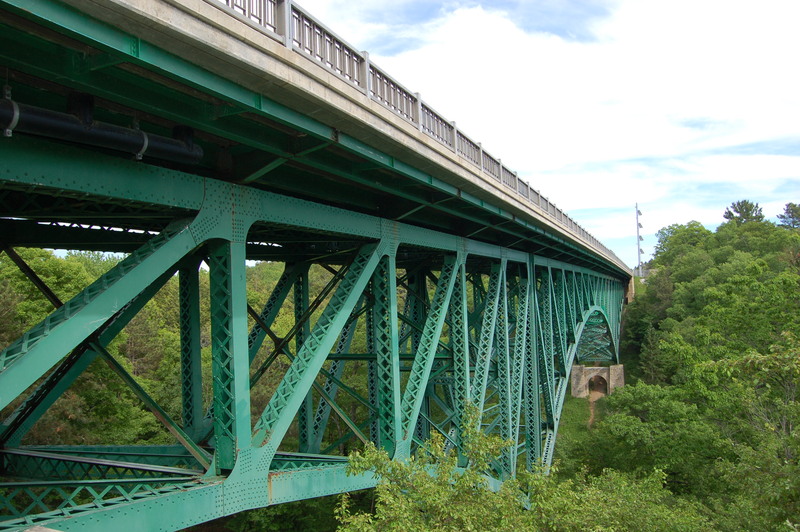 It is 641 feet long and carries US-2 traffic more than 140 feet above the Cut River and valley below. Various walking paths lead below the Cut River Bridge, which was renamed the Heath M. Robinson Memorial Cut River Bridge in 2014 to honor a Navy SEAL killed in action in Afghanistan. Lake Michigan Campground – There are plenty of opportunities to explore the Hiawatha National Forest along the Top of the Lake Scenic Byway, but the Lake Michigan Recreation area stands out for its scenic views and camping opportunities. 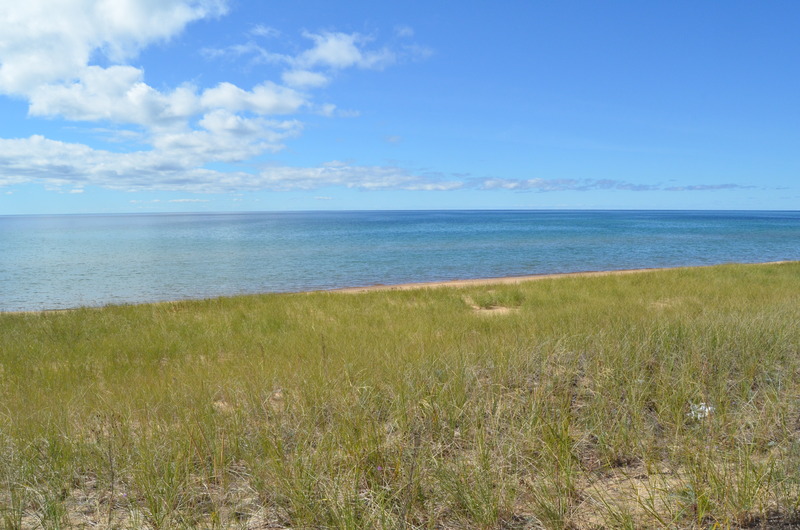 There are 35 rustic sites here for tents and trailers, with most sites only a few hundred feet from the Lake Michigan beach. 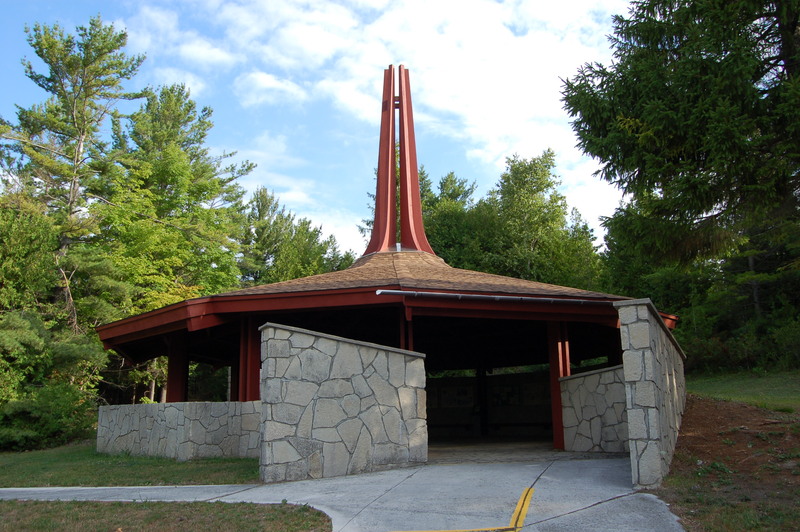 Details can be found on the Hiawatha National Forest website. 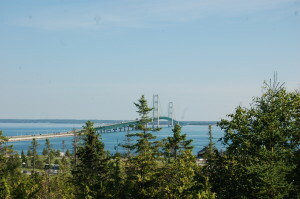 Campground is located 16 miles west of St. Ignace. 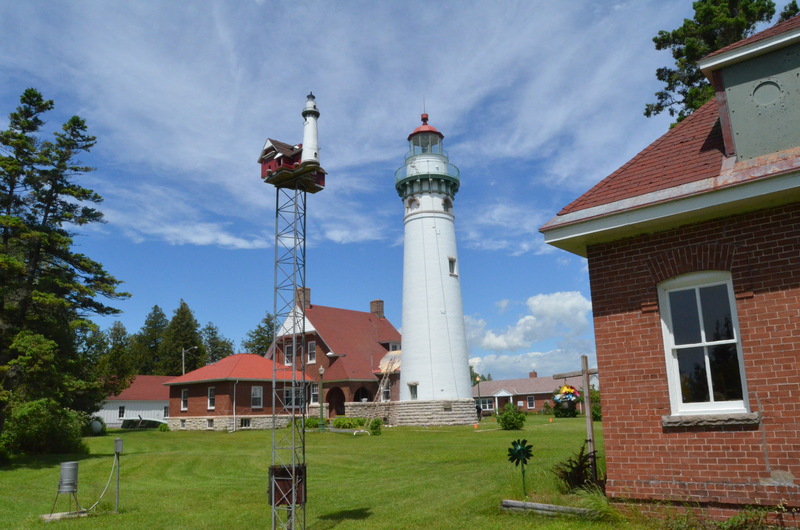 Seul Choix Point Lighthouse – Marking the only harbor of refuge between St. Ignace and Manistique, the Seul Choix Point Lighthouse has been a navigational aid since 1892. 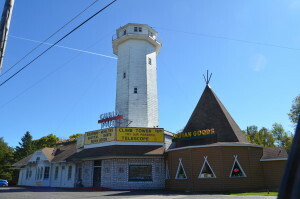 The 75 foot tall tower and attached keeper’s dwelling near Gulliver are open to the public as part of a museum complex, and are also rumored to be haunted. 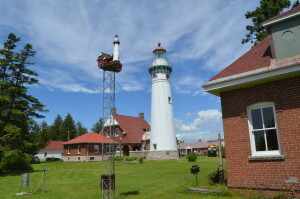 You can check out Photo Gallery: Seul Choix Lighthouse Tour post for a better look at the lighthouse grounds, for hours and other info visit http://www.greatlakelighthouse.com/. 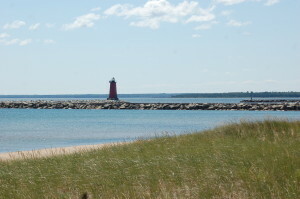 Manistique Boardwalk and East Breakwater Light – The boardwalk and river walk starts roughly two miles east of Manistique and takes visitors past Lake Michigan views, a sandy swimming beach, a fishing pier, and the iconic Manistique East Breakwater Light. 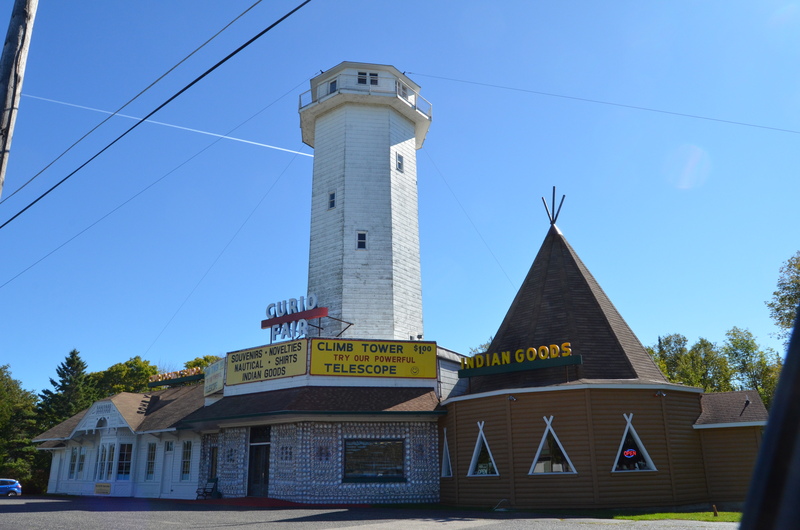 When weather conditions allow, it is possible to walk out to the lighthouse, which is a 38 feet tall square-pyramidal steel tower. 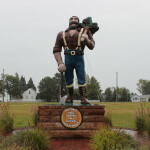 Paul Bunyan Statue in Manistique – A 15 foot tall sculpture of Michigan’s legendary lumberjack sits in front of the Schoolcraft County Chamber of Commerce building on US-2 just east of Manistique. 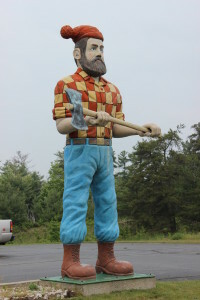 This is one of five Paul Bunyan statues featured in out Paul Bunyan Statues in Michigan post. 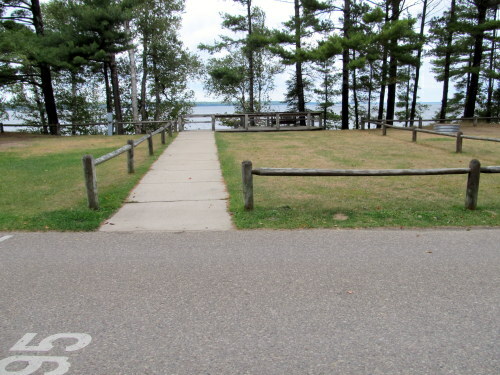 Indian Lake State Park – Centered around the fourth largest inland lake in the Upper Peninsula, Indian Lake State Park has a 145-unit modern campground and a 72-site semi-modern campground. The park also has two miles of hiking trails and endless opportunities for outdoor recreation on and around the lake. 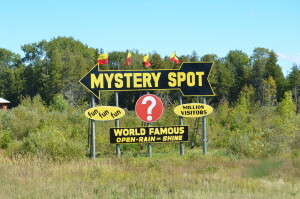 Take M-149 north from US-2 to reach the park. Big Spring Kitch-iti-kipi – Located in Palms Book State Park (a day use only state park), Kitch-ti-kipi is one of the Upper Peninsula’s most amazing natural wonders. 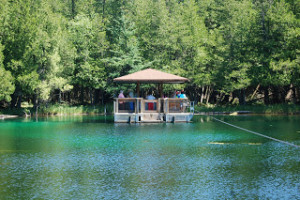 Visitors can take a self-propelled wooden raft out onto the spring, where 10,000 gallons per minute bubble up from below at a constant temperature of 45 degrees. The park is located on CR-449, roughly 12 miles northwest of Manistique. 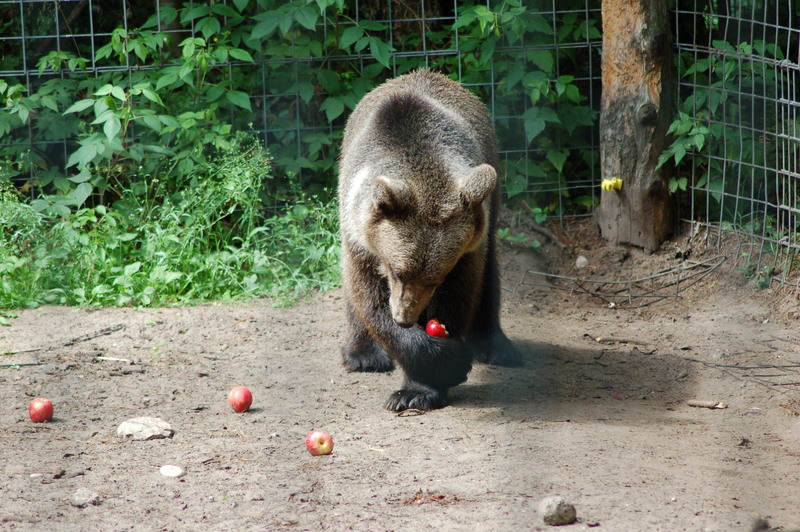 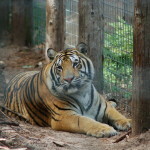 See our Photo Gallery Friday: Big Spring Kitch-iti-kipi for more photos and information.